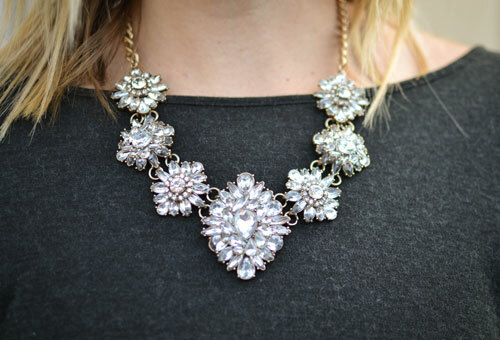 I've always loved the idea of dressing up a casual outfit with a great statement necklace. No matter what your budget is, it's a simple way to add that little extra something to a sweater and a broken in pair of jeans. Easy peasy. Fantastic necklace and boots! You look great in this casual outfit! Agree! I never would have though to pair a statement necklace with distressed boyfriends but I'm loving this. Great look! Nice outfit! That necklace is gorgoeus! Love how your necklace dresses up that casual outfit of jeans and a top! I am in love with your hair!